It might be hard to believe, but it has been two years since our last presidential election. Americans were diced and divided into sides as impenetrable as the Berlin Wall and the only thing we could agree on was that the game of politics in the United States had shifted. Even today, many are still filled with gloating, bitterness, or sorrow about the outcome of that last big election. But like for many others, I am different because of it. 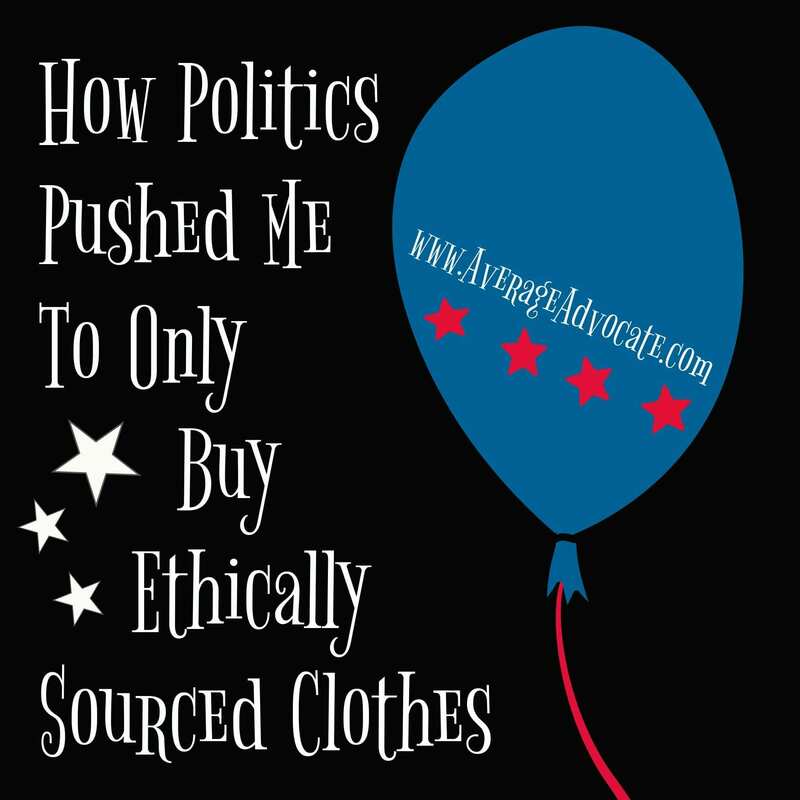 Specifically, the 2016 Presidential Election was why I now only buy ethically sourced clothes. *Note, this post is was originally written for other followers of Jesus. I recognize many people who read Average Advocate do not share this worldview, but I post it here because I think you still might find it relevant. If you prefer, you can also watch much of this story on video here instead. Despite living at the epicenter of our nation’s government for the first decade of my adult life, I gave politics little attention. But in 2016 I decided to run a series of guest posts on the intersection between justice, God, and politics. For the first time, I became acutely aware of how hungering for justice was the deep undercurrent pulling at these concerned voters of various faiths. Regardless of which candidates won, these conversations fanned my own desire for Biblical Justice to be here on earth as it is in heaven. I was doomed to be disappointed by any outcome. It isn’t abnormal for me to become angry at injustice, and this case was no different. Thankfully, for the most part, I am a lot quicker than I used to be to humble myself, stop pointing fingers, and ask God to fill me with love for those who aren’t as “enlightened” as I am. So it was probably a good thing I found myself crying on my face before God after the results were in. And then I really started weeping (probably snot-crying) because God was so right (typical, huh?). There was an area I was holding back in and I knew it. You see, I run a small international organization, the LBD.Project, which aims to help everyday, ordinary people do something to fight human trafficking by wearing the same black item of clothing each day in March. Though this, I had slowly learned a lot about fair labor, labor trafficking, and ethically sourced clothes. But each year, I would still buy a cheap black dress to wear (not mentioning the clothing I bought the rest of the time). My personal crisis over the state of my country and my anger at my fellow Americans dissipated rapidly as my own hypocrisy was unveiled. It was obvious to me that God was calling me to the next step I had been so actively avoiding: to buy only ethically sourced clothes. And this time, even though I wasn’t sure how to do it, I obeyed. That first year was an exciting journey in learning about conscious fashion. Because of the higher costs, it made it easy to continue the trend I began a long time ago of not actually buying much. Thankfully, someone who was inspired by my stand to only buy ethically sourced clothes gifted me with a $300 gift card to a conscious fashion boutique–a blessing because I really needed some jeans that fit. Last year I added my family into the mix, a next step of faith. I got hung-up for awhile on where to buy socks and underwear. Now I rarely buy new clothing at all, but still limit the demand for it by switching back to my high school days of thrift store shopping and clothing swaps. I hope I am not annoying, like my vegan in-laws over the holiday meals (I still love you) or appear hoity-toity when I don’t shop from Target clearance racks. And yes, sometimes I still cheat. Also, I haven’t even started buying ethically sourced everything yet. However, intentionally choosing a different lifestyle that reflects the justice I want to see on a larger scale has been a vital step as I move forward, both in trusting God and in how I approach politics. My votes can never fully create justice on earth, but the conversations I have with my fellow Americans can be born from humility as I stir a longing for His Kingdom Come. In the meantime, I am assured that as I responsibly live justly in my circle of influence, I am helping bring freedom to a few men, women and children around the globe who stich my clothing together. You feel yourself hungering for justice as you consider how to vote in this election season. If so, ask God to show you if you need to change something to live more justly in all areas of your life. You are interested in learning about your consumer superpower and what has to do with ethically sourced clothes. If so, still around Scraping Raisins this month as Leslie covers this more or you can read this post on Conscious Fashion. Are you ready to begin buying ethically sourced clothes? 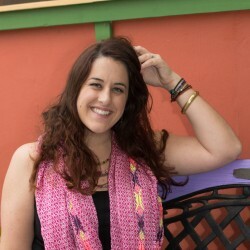 If you need a guide on where to start, here’s a list of my favorite ethical and social good stores. No matter what step you take, it matters! They all lead you a little closer to being who you were meant to be making the difference in the world you were born to make.